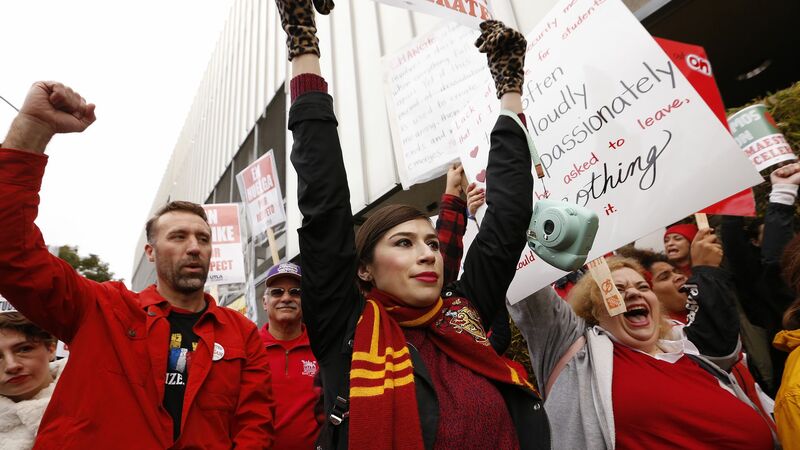 Union leaders reached a tentative deal with the Los Angeles Unified School District to end a 6-day teachers' strike Tuesday morning at about 6:30 am PT, following a 21-hour bargaining session, the Los Angeles Times reports. The big picture: Teachers representing the nation's second largest school district, with 640,000 students, went on strike for the first time in 30 years after nearly 2 years of negotiations failed to produce agreement on issues of class size, salaries and support staff, according to the AP. Teachers will vote on the tentative deal Tuesday and could be back to work as soon as Wednesday.